Single? Love public radio? Under 40? 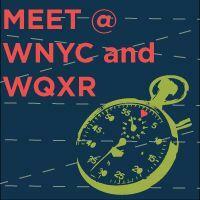 Join WNYC for a speed-dating party for single New Yorkers. Or just mingle with other fans of public radio! Enjoy hors d'oeuvres and one complimentary drink. 6pm - 8pm - Speed-dating, $40 - includes a 2 hour organized speed-dating event, plus admission to the mingle with light snacks and one complimentary drink.